There’s a saying in French: tenir tete a quelqu’un… standing up to someone. How do we stand up to someone who has power over us? What if Norman and I had aired our disagreements, our differing perspectives of life– on stage? What if I’d argued to the audience as witness– that my older brother, the math genius and doctor-to-be, received preferential treatment during my childhood? What if my father had bemoaned on stage my choice of going into the theater and said, as he often did, “You’d have made a very good lawyer.” This is raw, uncomfortable powerful theater. Perhaps my father, like one of the German fathers in the play, would have graphed a complicated mathematical equation (he was once a math teacher) to chart the dynamics of our love and obligation for and to one another. My pharmacist father may not have understood why his daughter spent hours in a dance studio, crawling on the floor or playing with Howdy Doody puppets. But he never withheld his support, emotional or material. And he was there in the audience for my performance at Project Artaud, accepting a piece of matzoh from his naked daughter on the stage. Ah what one does for love. 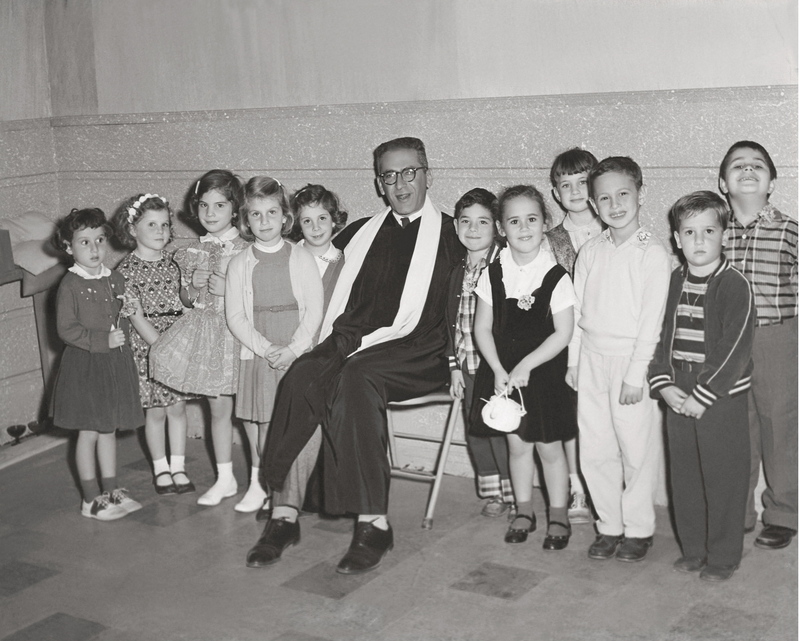 I was on a bus to Jerusalem in 1975 when I opened and read a letter from a friend in Los Angeles informing me that Herschel Lymon, my childhood rabbi, had committed suicide. What could be more shocking? I loved Herschel. He bar mitzvahed my brother Larry, visited my Sunday School classes at Temple Akiba in Culver City. I have an inscribed copy of Viktor Frankl’s Man’s Search for Meaning he gave to my parents, his good friends, and an inscribed copy of Martin Buber’s The Way of Man he gave me for my high school graduation. 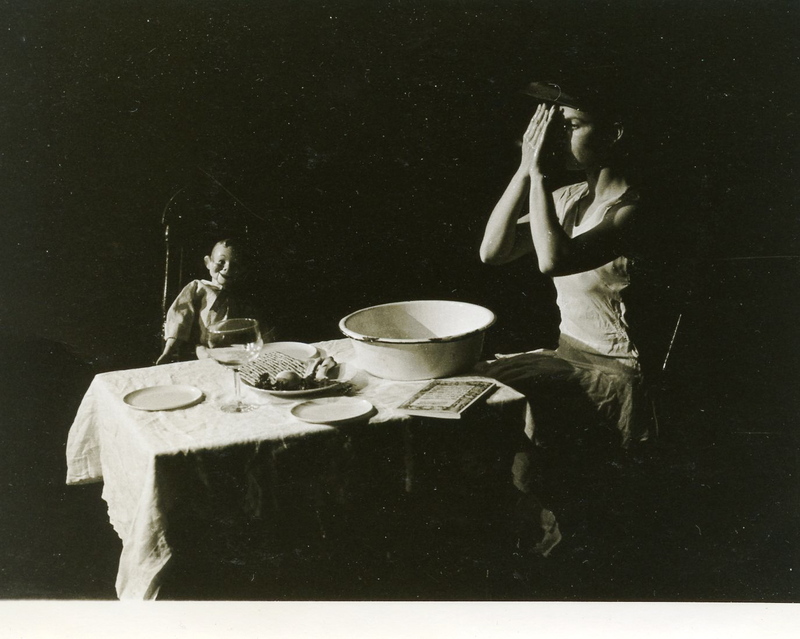 I began creating a solo theater piece, “Lents Passage,” in the fall of 1978. My starting place was my anguish over Herschel’s death. I interviewed people who knew him, trying to understand why he would have taken his life. I learned that Herschel suffered from manic depression. He tried all kinds of therapy– rolfing, Reichian, LSD. He filled his prescriptions for anti-depressants at my father’s pharmacy in Culver City. While I was working on the piece, news broke about the Jim Jones mass suicide. Another shock wave. How could this be? Why did all these people drink cyanide-laced koolaid on command? Why did they follow this madman from the Bay Area to the jungles of Guyana? These unfathomable stories still roiled my psyche as fall became winter became spring and it was time for Passover, when we tell the story of the exodus from Egypt, plagues of frogs and hail, the Israelites following a magician who transformed sticks into serpents across the Red Sea into the desolate Sinai desert. “Lents Passage” had its San Francisco premiere at Project Artaud, in San Francisco. My mother was planning to come see it. A few weeks before opening night she called with a surprising announcement: “I bought you a body stocking.” Why? Yes, it was true there was a naked scene in the piece. But so what! This was art! There was a pause. Then my mother repeated, “I bought you a body stocking.” Another pause, then, “…your father’s coming.” Of course, my stubborn younger self did not take wise counsel, would not compromise. I hid the afikomen as part of my performance of “Lents Passage.” I taped a piece of matzoh under a random seat and informed the audience the performance could not continue until someone found it. At first no one believed me. No one budged. Then there was a general shuffling around and then a gasp… from my father. He stood up and we faced each other. It was a moment of recognition like you might have in a bad dream– I was standing naked in front of my father in public– and he was offering me a piece of matzoh. “You weren’t kidding,” he repeated. “No,” I said slowly, “I wasn’t kidding.” I accepted the matzoh from my father’s outstretched hand. And then I continued the play.